During a question-and-answer session at the Gretsch booth at last month's NAMM show in Anaheim, California, GUNS N' ROSES guitarist Richard Fortus was asked what advice he would give to an up-and-coming band trying to get noticed. He responded (see video below): "That's a good one, because it's a very different landscape right now to when I was your age. When I was a kid, you put up flyers, you played everywhere you could and you did everything you could to get your name out. You kept pushing further and further. I grew up in St. Louis, Missouri. So we kept pushing further and further. We'd go to Columbia, we'd go to Chicago, we'd go to Kansas City, and you spread. Every time you go back — hopefully, if you're doing it right — then there'll be more people there. I think that's very relevant now. I think that's a great way to do it now. Even though people don't support live music as much as they used to, grassroots is where it's gotta build from. And now there aren't any labels to get in the way. It's not so imperative that you have a label. When I was a kid, you had to have a record label, and then you made it — except you didn't… [Bands releasing music independently now is] great, because it levels the playing field. It also makes it harder. You've just gotta work harder." Fortus recently told the St. Louis Post-Dispatch that GUNS N' ROSES may unveil a new studio LP in the not-too-distant future. Fortus explained: "Slash is on tour [with his solo group] right now. Once he gets back from that, we're gonna get some more recording done and hopefully get an album out soon. And then we'll get back to touring." There has been speculation about a new album from the band ever since three-fifths of its original lineup reunited in 2016 for the recently completed "Not In This Lifetime" tour. 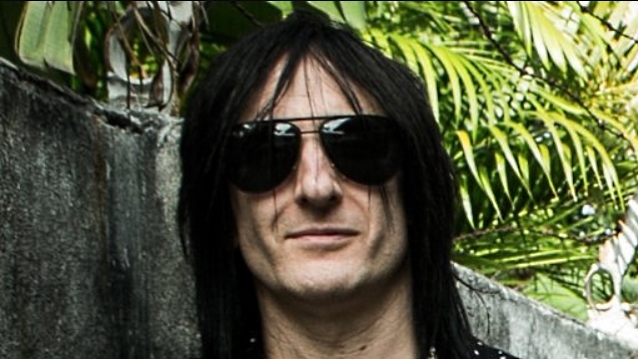 Fortus got his big break when his band PALE DIVINE opened for THE PSYCHEDELIC FURS. This led to Fortus forming the band LOVE SPIT LOVE with PSYCHEDELIC FURS frontman Richard Butler and Ferrer. In 2000, Fortus and Ferrer became touring members of the reformed PSYCHEDELIC FURS before Fortus hooked up with GUNS N' ROSES. Ferrer himself joined GN'R in 2006.